Can You Grow Garlic From Bulbils? Reader Louisette Gilbert wrote to ask whether she can sow garlic from bulbils, the little aerial bulbs found at the top of the scapes (stems) of hardneck garlic. The fast answer is yes, you can, but if you want to grow harvestable garlic cloves anything close to the size of regular cloves, you’ll have to be very patient: it will take at least two years! On the other hand, some garlic varieties produce a hundred or more bulbils per scape per season, so eventually you’ll have a huge harvest. Also, bulbils are free of the soil-borne diseases that can come to plague garlic grown from cloves over the years. For that to be true, though, you should plant them in a different bed than your clove-grown garlic. 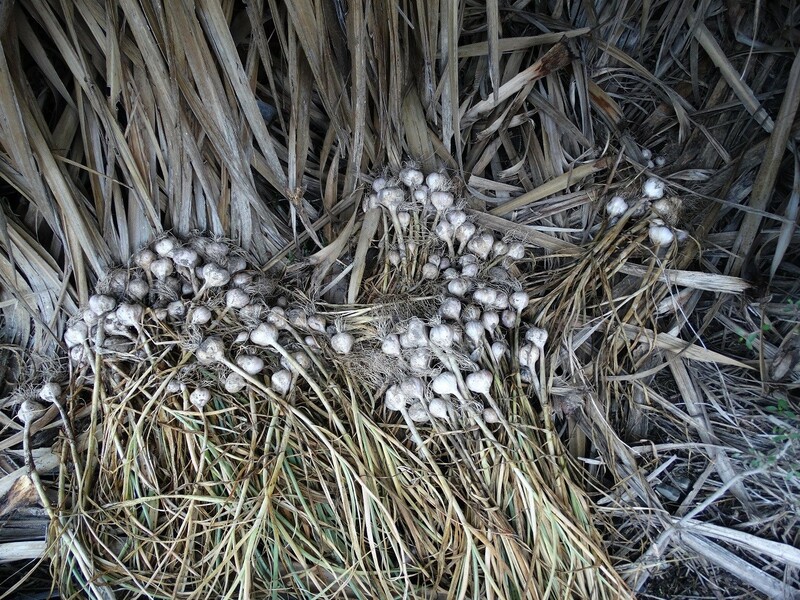 Bulbil-grown garlic, being disease-free, tends to be more vigorous than garlic grown from cloves and may eventually produce somewhat larger cloves. Most gardeners end up with bulbils by accident or by ignorance. Theoretically, you’re supposed to cut back the scape (stalk) when it starts to form a spiral so the plant “can put all its energy into producing larger cloves.” Plus the harvested scapes are delicious: a real delicacy … and your first harvest! It’s when you didn’t know you were supposed to remove the scapes that you end up with flower heads bearing bulbils towards the middle or end of summer. Many gardeners assume bulbils are seeds. After all, they appear on top of a flower stem! But in reality, garlic plants almost never produce seed: their flowers usually abort before they reach maturity and certainly before they are pollinated. Instead, tiny bulbs (bulbils) appear among the flower buds and take over the space. Bulbils aren’t seeds, because they aren’t issued from cross-pollination (nor any pollination). They are, in fact, clones of the mother plant. Depending on the garlic variety and your growing conditions, it’s going to take 2 to 3 years, maybe even more, to grow full-size garlic cloves from bulbils. Some garlic varieties produce only a few bulbils per scape, maybe 4 to 10. They’ll be bigger and will mature more quickly than the tiny rice-sized bulbils of varieties that produce 100+ bulbils per scape. Ideally, you’d leave the scape on the plant until it’s completely dry, that is, about when normally you harvest your garlic, but if you harvested them earlier and the bulbils seem viable, they probably are. Plants you’ve let “go to seed” will usually produce smaller cloves, but they’ll still be usable. Harvest the bulbils by breaking them free of the scape, then store them in a dry, well-aerated, shady spot until planting time (September or October in most areas). 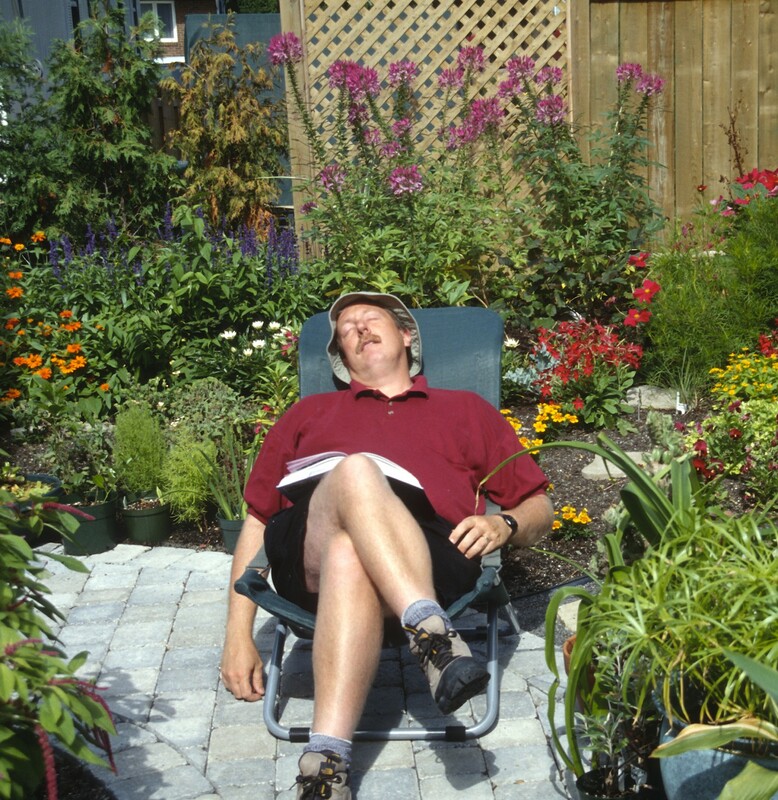 Plant them about 1 inch (2.5 cm) deep and the same distance apart in good, well-drained soil in a sunny spot. Some gardeners just dig a wide trench 1 inch (2.5 cm) deep and toss handfuls of bulbils in any which way. That works too as long as you thin the plants come summer. I highly recommend mulching with straw, as not only does it help protect against the cold of winter, it keeps weeds down the following summer … and young garlic plants are easily smothered by weeds. Some gardeners prefer to store bulbils indoors over the winter and sow them in spring. That works too! In summer, you can actually thin and eat any excess garlic plants (they’ll look like skimpy chives) if you’ve grown them densely, using them as you would green onions. They’ll have a perfectly delicious mild garlic flavor. Just leave plants spaced about 1 inch (2.5 cm) or so apart to grow on. Keep the bed well weeded. Water only in periods of extreme drought (garlic prefers to be grown on the dry side). In late summer, as the leaves start to die back (that is, at the same time you would normally harvest garlic), dig up the plants. They’ll have formed “rounds” (small single bulbs that haven’t yet split into cloves), hopefully much larger than the original bulbils. Let them dry out in a shady spot, then plant them out, again at garlic planting time in September or October. This time, if they’ve increased notably in size, plant them deeper (2 inches/2.5 cm) and give them more space to grow (about 4 inches/10 cm). In their second summer, the plants will be much bigger and many will try to form a scape. Make sure you cut it off to increase the size of the cloves. Weed as usual during the summer. When harvest season comes along late that summer, you may have full-sized cloves to harvest and thus you’ll have reached your goal of producing garlic from bulbils. Congratulations! However, sometimes they’ll still be small and you’ll have to plant them out yet again and hope they reach their full size the following year. It can occasionally take up to four years before you have a true harvest. The information above concerns hardneck garlic (Allium sativum ophioscordum), the kind grown in cool climates. In mild climates, softneck garlic (A. sativum sativum), the kind you can braid, is the preferred type, but it doesn’t produce a true scape like hardback garlic, rather leaves rolled into a false stem (pseudostem), nor does it bloom, and therefore, normally it produces no bulbils. However, it will occasionally produce a few bulbils along its pseudostem, especially when the plants are stressed, and if so, they can be harvested and grown on as above. Garlic from bulbils: a bit slow, but often very rewarding! A Terrier to Control Deer? Hi thought you might be interested in this- I have some friends who are off grid and water there garden by windmill, so water is not the most abundant for there softneck garlic, the odd dry year she gets some to grow scapes along with a few bulbils, not sure if it artichoke or sliverskin. Last summer it produced bulbils again so i got some from her, sowed these in autumn to which 20+ came up straight away, these were moved to a separate bed and marked. Come spring the rest of the bulbils popped up and should get to the rounds stage in about two months. Because my garden is very fertile and gets pampered with plenty of water these are unlikely to produce scapes again so i’ll give these back to my friend to grow again and hopefully reproduce more scapes, maybe in time i can get these soft neck to produce scapes every year,maybe even flowers – TGS, The softneck bulbil grown crop was pulled a week ago, they are the sliverskin variety. The 20 that grew for for 8 months are the small group to the top right, the rest that didn’t grow till spring are the remaining lot, all but a few are small bulbs, some rounds. Drought or other stress could certainly provoke their formation. And by choosing to grow plants given to producing bulbils, year after year, you might well develop a variety that does so every year! A most interesting experiment!